Fly a helicopter through a hurricane! 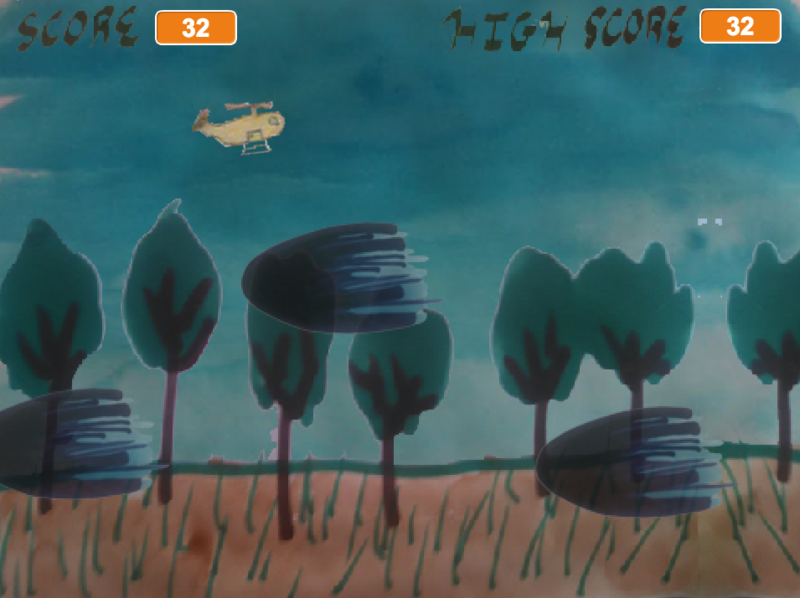 Use the mouse to control the helicopter, and avoid running into turbulence. Explore a rich, watercolor world. Yes, the helicopter is caught in a hurricane. "But if it flies long enough it will escape, right?" No, this is an endless runner. If you play long enough, you will see that the background is looping - the helicopter is flying in circles. Silly helicopter! nice work. beautiful graphics and nice feel to the controls!